“It is a great honor for me to win the Mahfouz Medal because I am the first Sudanese to get it,” said Hammour Ziada when he received the 2014 Naguib Mahfouz Medal for Literature award in the Egyptian capital, for his novel The Longing of the Dervish (Shawq al-darwish). 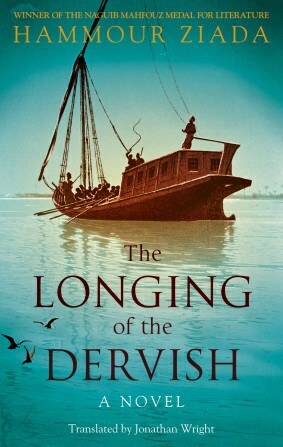 Ziada’s novel tells the tale of a Sudanese slave, Bekhit Mandil, and his beloved, Theodora, a Greek Alexandrian, set against the background of brutal power struggles from the time of the Mahdi revolution to the fall of Khartoum. The love story is the driving force of Ziada’s historical narrative in which he explores sobering themes such as revenge, slavery, and imprisonment, but also betrayal, religious hypocrisy, and racism. “In its illustration of the devastation caused by the Mahdi uprising, a fanatical, extremist, and violent religious movement, Shawq al-darwish is a powerful statement on the current scene in the region where religious extremism is causing havoc,” added the committee in their citation.